Interactive playspace. Rendering courtesy Students for Design Activism. Moss pathway and lighting. Rendering courtesy Students for Design Activism. Flicker & Spore will activate the space below a Greenway bridge by creating an interactive playground/installation with moss and various forms of light. The two elements: moss (representing greenspace) and light (representing the city) will visually play with the relationship between urban hardscape and urban greenspace. A trail of moss will also lead people to the project site. 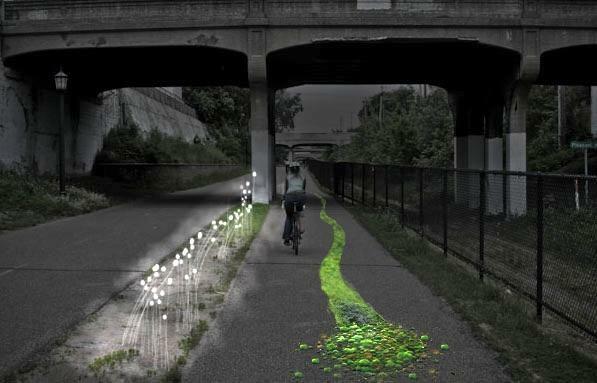 As a visitor follows the trail they will be led to a space underneath a Greenway bridge where people can play and build with light amidst a soft surface of moss. 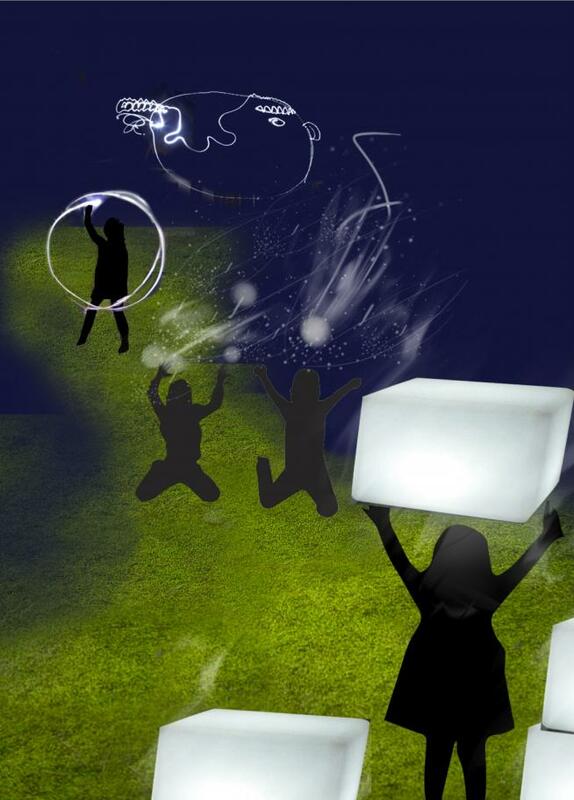 Through a mixture of high and lower technology (glow in the dark paint, solar LEDS and reactive LED systems), we create various modular and interactive light objects that can be stacked, thrown, and in some cases taken home. We will use time-lapsed video to capture the interactions and project them on adjacent walls. Made possible by the University of Minnesota and the Midtown Greenway Coalition.